Genesis Technologies to distribute Wisdom Audio Sage speakers in the UK | What Hi-Fi? They're due to be launched at the Genesis Technologies Installation Experience at JVC House in London on March 30th. "We believe that the Sage series redefines the performance available from in-wall and on-wall speakers and are thrilled to be offering these products to the UK's finest custom installers," says Neil Davidson of Genesis Technologies. Wisdom Audio is bringing more than 20 Sage series speakers to the UK, encompassing in-wall, on-wall and freestanding models ranging from 20in to 76in tall. Sage series speakers incorporate new-generation proprietary thin film planar magnetic drivers, which enable the speakers to be narrow enough to fit in-wall. 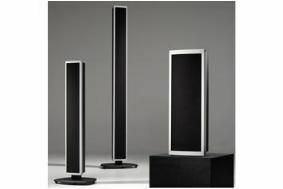 The range runs from the P20i at £3270 up to the L150i at £17,650 per speaker. The speakers are active and biamped and all the electronics are priced individually. For example, the crossover unit including multiple memory Audyssey MultEQ XT room correction software is £7040, and a three-channel SA-3 amp delivering 3 x 500W is £4700. Not cheap then. There are also multiple centre channel speakers and an in-wall subwoofer, two more amplifiers – the SA-1 and SA-2 (2 x 500W) – plus the SC-1 system controller.